Mirah Belle's natural anti-acne skin soap recipes have been developed to produce a mild, skin-nourishing effect that not only heals the skin but also leaves it feeling clean, smooth and fragrant. Mirah Belle brings to you cold processed anti-acne skin soaps that retains natural glycerin. Individual skin care needs are unique, so we offer a variety of formulations for all age groups and skin conditions. Pure Essential oils are added to each variety depending on the skin type and condition. Loaded with bio-organic sodium, the Goat Milk and Ylang Ylang bar will leave your skin feeling creamy, moisturized and refreshed. The Goat Milk provides for an excellent moisturizer while gently cleaning and is perfect suited for someone with sensitive or dry skin. For the youth of today, regardless of your skin type, the presence of Ylang Ylang Oil along with Goat Milk, will correct heal any type of breakouts. Our soaps are free of Chemicals, Paraben, Sulphate, SLS and Silicon. We believe in using only natural oils and herbs. Get Rid of All Skin Problems and Promote Healing With Natural Soaps In this age the main culprit behind all skin problems are environmental agents and lifestyle choices. Most skincare products contain chemical irritants that only make matters worse. They make your skin dull and leads to premature ageing of skin cells. Use Miracle Sea Buckthorn Healing Soap to gain the nutrients that your skin has lost over the years. 100% natural ingredients are infused to create this soap that heals all the damage and distress caused to your skin. Get rid of premature aging problems with the help of Exotic Avocado Collagen soap Are worried about premature aging? Are those wrinkles and fine lines not letting you sleep? Collagen production in your face helps to maintain the elasticity of your skin and reduces the fine lines. There are many soaps present in the market which make big promises but fail to do so. 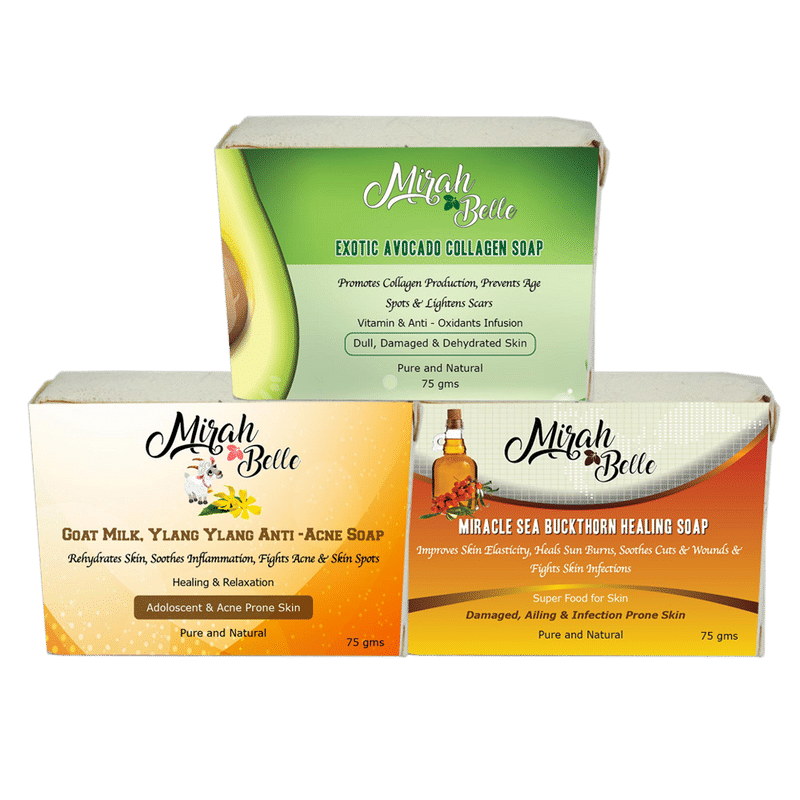 The new exotic avocado collagen soap is a perfect blend of avocado and other ingredients.